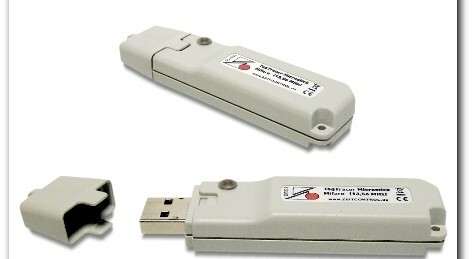 Zeit Control card systems GmbH, a manufacturer of card solutions, has announced the TagTracer MicroStick MIFARE RFID reader for 13.56 MHz transponders. 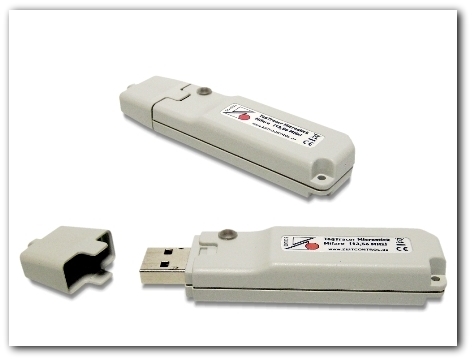 This new RFID USB stick reads the serial number (UID) of ISO14443A transponders – BasicCard 7.5, Mifare Classic, Mifare Ultralight, Mifare DESFire, NTAG – and puts them into the PC’s keyboard buffer. The USB reader is installed by Plug&Play. No administrator privileges are required. The UID is available as text for various applications like Access, Excel or any other application that accepts inputs from the keyboard. This also works with modern smart phones and tablet computers. The TagTracer MicroStick Mifare is suitable for a variety of applications including logistics, stock data, product ID and time tracking. The output format can be customized be means of a free PC configuration tool. The serial number can be decimal or hexadecimal. It is also possible to append an “Enter” or “Tab”.